One of my favorite cities in the world continually provided me with a dilemma: I had just under a week to explore Stockholm, so which of its more than 85 museums should I visit? With more museums per capita than most other cities in the world, Sweden’s capital boasts an impressive array of outstanding art and history collections as well as some offbeat offerings, such as the Swedish Tobacco & Match Museum and the ABBA Museum. The Vasa Museum’s distinctive design, with three accurately sized masts, hint at the stellar attraction inside. Among them, however, was one that sat firmly at the top of my list. I island-hopped across some of the short and charming bridges that have earned Stockholm the sobriquet “the Venice of the North” to Djurgården, a large island that was once the royal hunting grounds. Today, amid its stretches of meadows and forests, Djurgården boasts an enviable collection of historic buildings, galleries, and yacht harbors as well as the open-air museum. There are several other museums here, too, but I made a beeline to the one I was anticipating the most: the Vasamuseet. 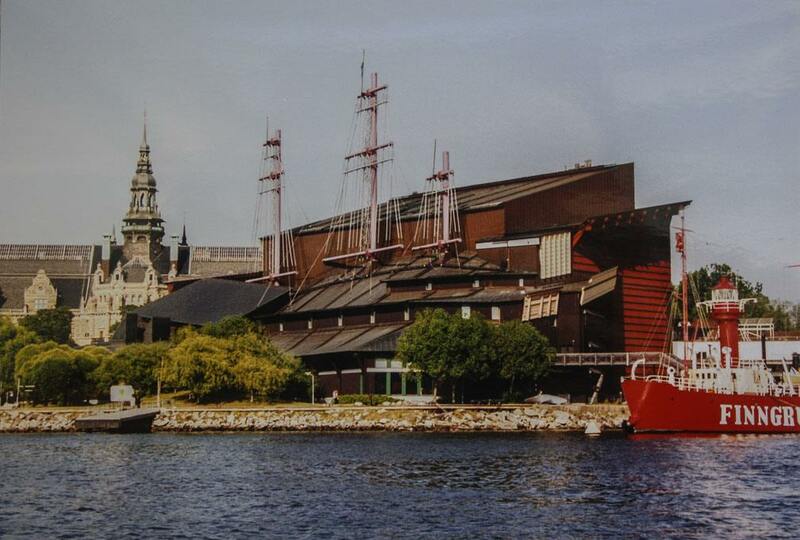 Sitting along the water directly across from the island of Skeppsholmen, the Vasa Museum is easily identified by its copper roofs and the three masts that represent the true height of the ship that resides inside — the Vasa. The Vasa was a Swedish warship laden with 64 bronze cannons on two decks that sank on her maiden voyage on August 10, 1628, just as Sweden was emerging as a major European power. Over the course of two years of construction, mistakes had obviously been made on what would be the mightiest ship in the Swedish fleet, and more than 300 men were building it improperly. Too top heavy, it heeled over and promptly sank shortly after setting sail on its mission to engage in a war with Poland, logging a total of less than one mile and drowning about 30 souls. Made from more than 1,000 oak trees, the Vasa would have presented a serious threat to her enemies, provided she ever made it out of Stockholm harbor. No one was officially blamed for the catastrophe, which left the Vasa 105 feet below the surface of Stockholm harbor for 333 years. In 1961, the ship — remarkably intact — was raised and floated to a nearby shipyard. Preservation began immediately, and erection of the current museum started in 1987. 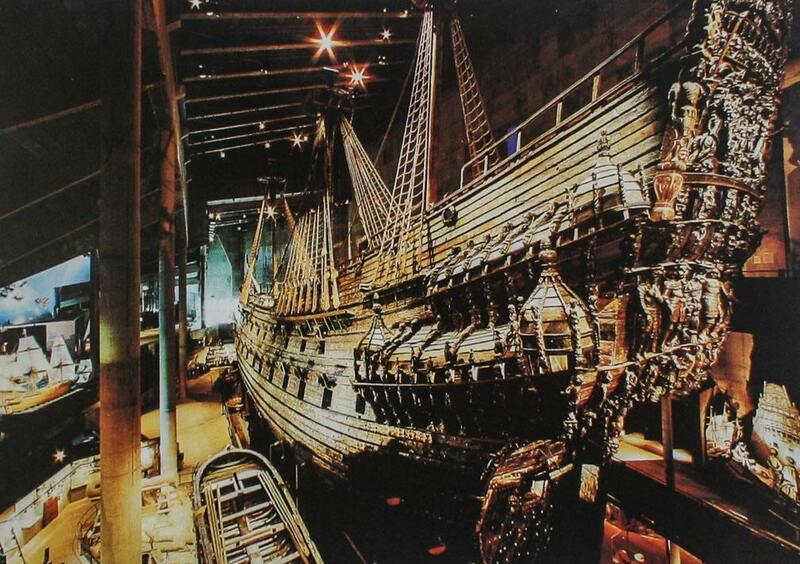 In 1990 the Vasa took its last (and only its third) trip, into the museum. She remains the world’s only intact 17th-century ship that has ever been salvaged. No wonder the Vasamuseet is the most visited maritime museum in the world. I entered the building and slowed my pace as my eyes adjusted to the dim lighting. The humidity — kept at a specified level as a key element of the ship’s preservation — seemed higher inside than out, even with the drizzly weather. Then, as I acclimated myself to this new environment, the Vasa appeared. And she’s magnificent. I was awestruck by the Vasa‘s immensity: She’s 226 feet long and, having been constructed with more than 1,000 oak trees (95 percent of which are still original, despite three centuries under the sea), weighs in at 700 tons. The ship can be viewed from six different levels, and I explored each of them, affording me opportunities to develop a truly comprehensive understanding of its size and power as well as close-ups of its myriad details. 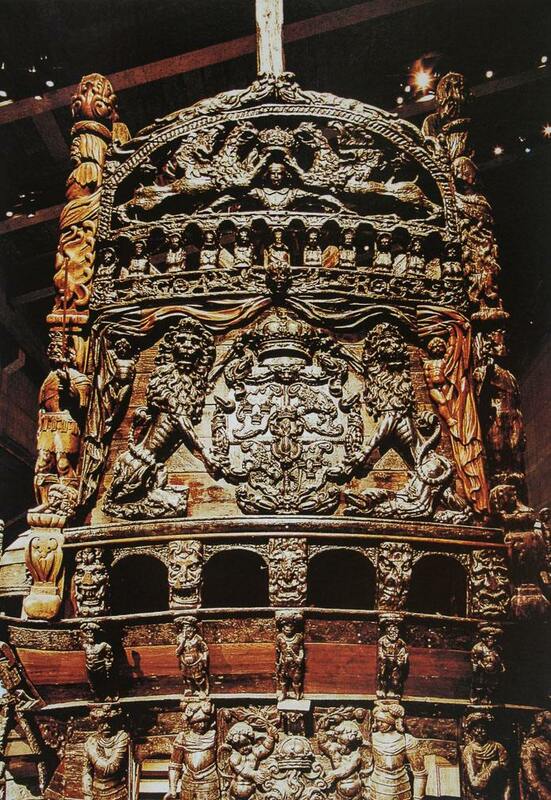 More than 700 sculptures and ornaments inspired by then-contemporary times, as well as by the Bible, classical mythology, and history, embellished the Vasa, particularly the ornate stern. King Gustav II Adolf wanted the decorative features to be threatening as well as beautiful, so, mixed in with the lions, emperors, gods, mermaids, angels, and devils that adorned large portions of the ship, there was the occasional splash of bravado, such as the sculpture of a terribly crouched figure representing a Polish nobleman cowering before the might of the Swedish Empire. The taffrail of the Vasa is rich with details of national, historical, and mythological pride. Today, these sculptures have been stained a dark brown color due to the length of time underwater. But experts have examined hundreds of microscopic fragments of paint from the sculptures and restored a handful of them to their original brilliance. Judging by this little section alone, it wasn’t hard for me to imagine the original splendor of the ship in its full spectrum as I tried to reconcile how something so exquisite was built solely to damage and destroy. As I walked around the museum, I drank in all of the information on the ship’s construction, sinking, and recovery, and on the history of the country in the 1600s, providing a solid context for understanding everything else around me. I was particularly intrigued by the archaeological exhibits. When the Vasa was raised, divers made countless trips back to the bed of the harbor and lifted an additional 45,000 “loose finds,” such as personal mementos, pewter utensils, sea chests still packed with provisions and clothing, and the remains of 16 of the people who perished on that day oh so long ago. Many of these displayed items provided an insightful look into what life on board would have been like — hard, crowded, unhygienic, often boring, and always under the threat of war, injury, and death. Although the Vasa had been a total and embarrassing disaster, its resurrection has been an overwhelming success. Occasionally, out of war comes beauty, and the Swedes have handily turned something ferocious into one of their most unforgettable attractions.